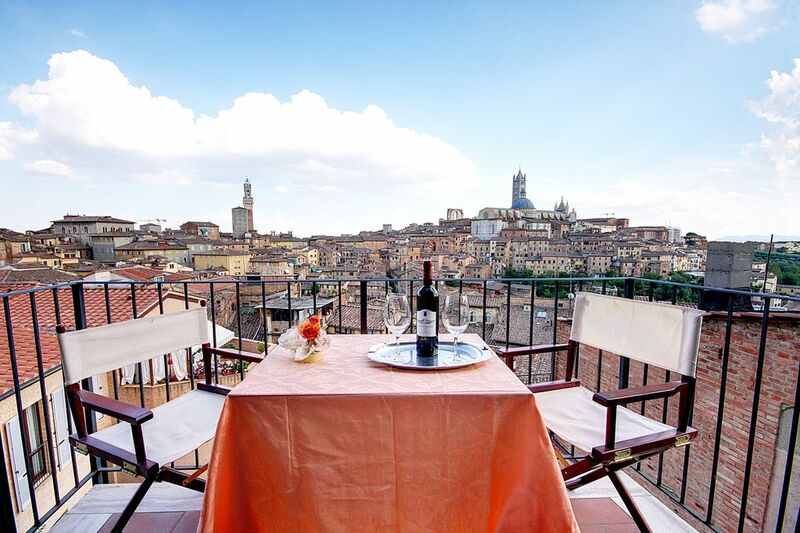 Central B & B: the top floor of a notified historical building, a few steps from Piazza del Campo and the Duomo. In the area you will find many of the city's best restaurants, shops and points of interest. The view from the terrace is one of the most beautiful in the city! Very quiet district even if in the heart of the historic center. The bus station (Piazza Gramsci) is only a few meters away. The Stadium car park is just a few meters from the B & B. Beautiful, spacious apartment with a spectacular view! Loved our time in Siena. Only regret is we didn’t allocate more time there. Our host was gracious and accommodating. The apartment was magnificent, clean, modern, spacious and a balcony with an amazing few of the city. Near great restaurants and shopping. There are two bedrooms and another couple was there as well. However, we never saw them until we were leaving. This is the perfect place to stay with another couple, plenty of room for privacy and spacious common areas and a nice kitchen. We will return! Great place for two couples! Private room and bath with shared common area and balcony for both rooms. If you don’t mind sharing space with strangers, this is the perfect place to meet new friends in Siena. Conveniently located to the center of old town and pick up for many tours. Lots of stairs, so don’t pack a lot. American coffee pot and the fabulous view make it worth all the steps up. Arrigo is an extremely accommodating host and will recommend excellent restaraunts that only locals visit! We got to the property late and still Arrigo was there to greet us, the view is amazing, very central and quiet, clean and quiet, we loved the whole experience! Thank you Arrigo!